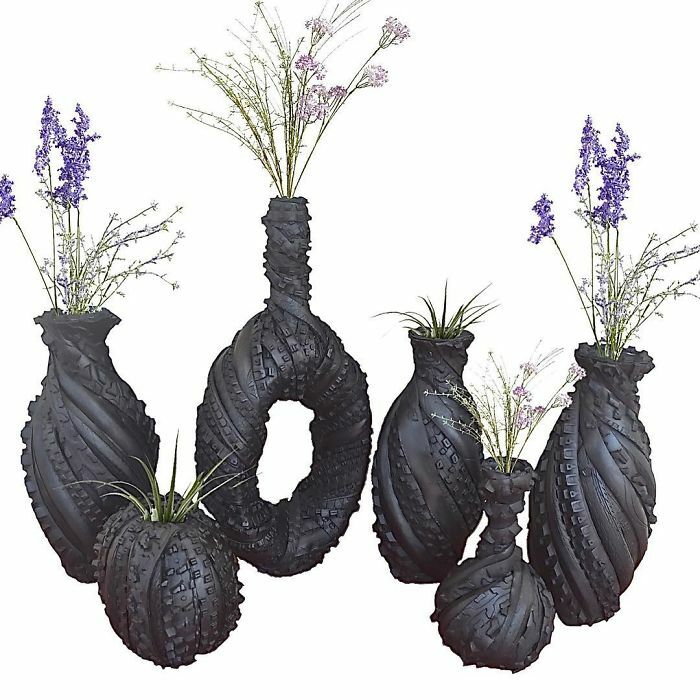 When is a tire not just something found on cars and other vehicles? 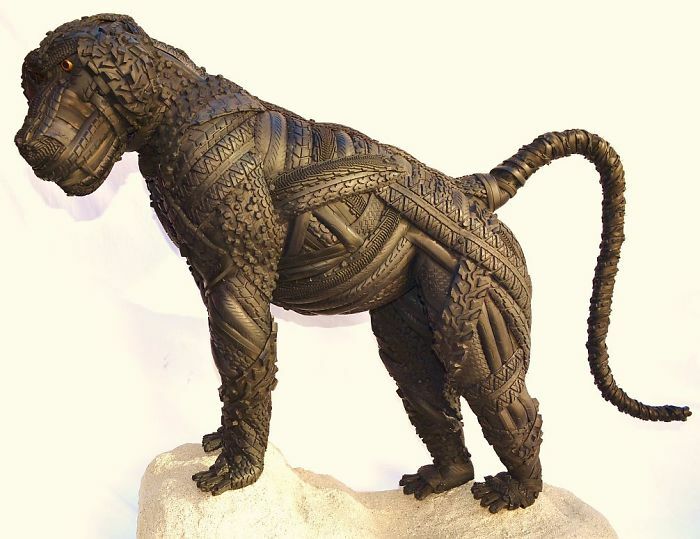 When artist Black McFarland transforms them into these magnificent sculptures, and without the use of high-tech equipment. 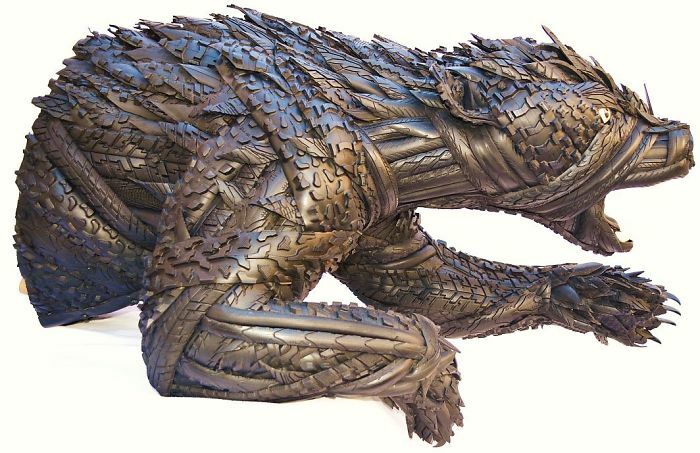 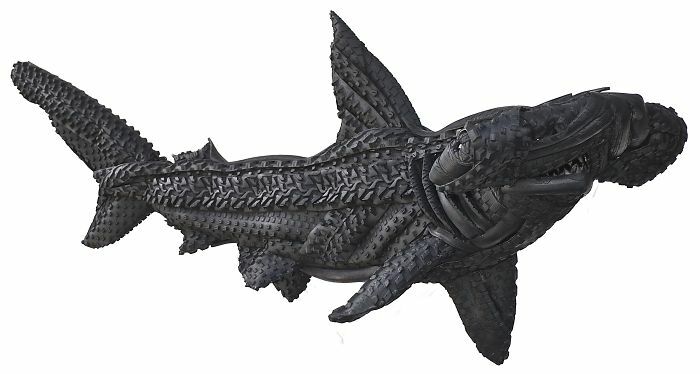 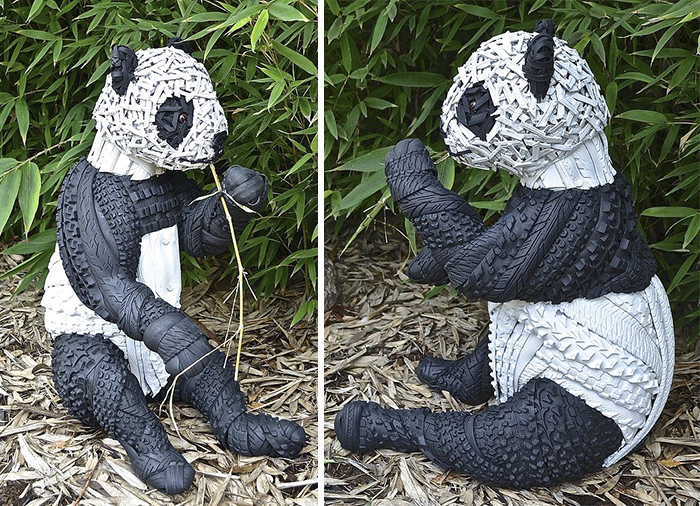 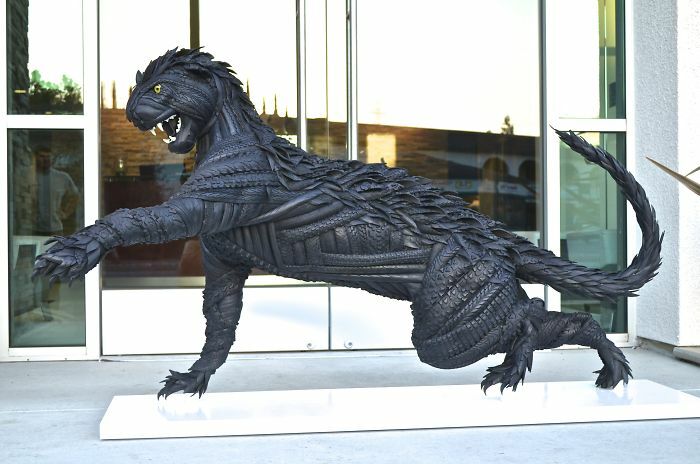 “I create amazing sculptures completely out of tires. 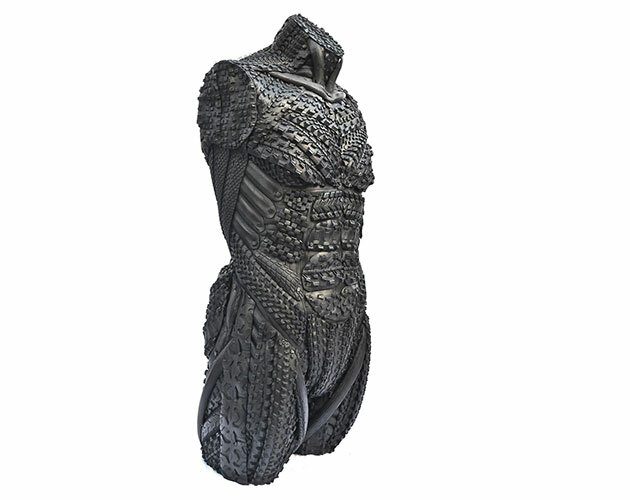 Each sculpture takes anywhere from 100 – 400 tires and up to a month to complete,” said the artist. 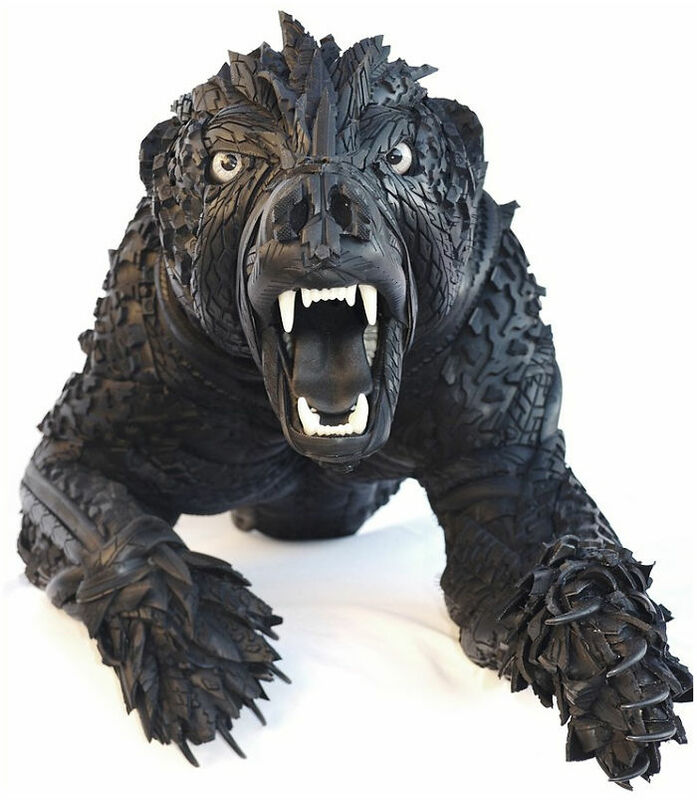 Continue reading for more pictures.